- Gas central heating design and installation. - Boiler installation and upgrades. - Combination boiler fault finding. 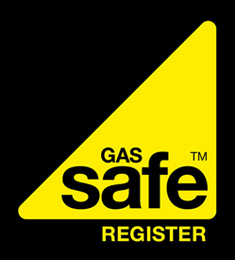 - Gas appliances servicing and repair. - Gas fires, cookers and water heaters. - Power flushing and water treatment. - Landlord safety certificates and inspections. - Bathroom design, sales and installations. - Ceramic and natural stone tiling. - Bathrooms for the less able. - Under floor heating, solar heating and ground source heating. Our bathroom fitter in Ilkley is a member of the Association of Plumbing and Heating Contractors, an Advanced City and Guilds Craftsman and Gas Safe Registered. We have been providing boiler repairs in Ilkley since 1980 making us a well established company. We provide quality workmanship that is second to none. We operate mainly in the Ilkley, Skipton, Harrogate, Guiseley, Leeds and Bradford areas providing a first class service. We cater for all domestic clients and offer a vast range of services including washing machine and dishwasher installation. All aspects of plumbing work are undertaken from the professional team here at Michael Bott Plumbing, Heating and Gas Engineers. Anything from a dripping tap to the kitchen sink! Our bathroom fitter in Ilkley is a member of the Association of Plumbing and Heating Contractors, Advanced City and Guilds Craftsman and Gas Safe Registered. We provide plumbing services throughout the Ilkley/Bradford/Leeds area including Burley, Menston, Harrogate, Skipton, Guiseley and throughout Wharfedale.